The hilariously-titled Super Ultra Dead Rising 3′ Arcade Remix Hyper Edition EX Plus Alpha Original Soundtrack accompanies the DLC expansion to Dead Rising 3, and like the DLC features references to other many other Capcom games and brings them all together in one wildly fun package. Featuring collaborations between Oleksa Lozowchuk and numerous other artists, the soundtrack is made up of several remixes of popular tracks from series such as Street Fighter, Final Fight, and Mega Man, and also includes a number of original songs for the DLC. 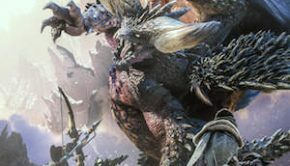 Most of the album is energetic electronic styled tracks, perfectly accompanying the explosive romp through the various DLC modes and settings. 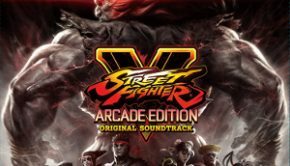 Much of the album consists of remixes of various Capcom tracks, bringing the original arrangements up to date with updated instrumental sounds such as in “Ryu Returns”, “MMX Opening”, and “Final Fight Industrial”. These tracks don’t change up too much, but they are now clean and crisp, making them strong improvements over the originals which were already pretty great. It isn’t likely that these remasters will find as much controversy as other remake soundtracks have, since the sounds are very faithful and retain the original spirit, often sticking at times to chiptune and other retro sounds. Some of these might not sound as good as incarnations from other games (for example, the new “Chun-Li” arrangement from Street Fighter IV is superior to this remaster of the original arrangement), but the arrangements still hold up fine on their own and help feed into the nostalgia of the overall package. There are also some original tracks on the album, but they all fit in with the style of the other tracks perfectly, with varying degrees of retro influence and predominant electronic styles. “Rhonda’s Garage” mixes some modern synths together on a retro foundation in a teasingly dark track with decent momentum and progression. “Clear Out” is an interesting track with a number of sharp tempo shifts and some strong melodies. The short “Phrenetik” in an unpredictable song with some compound meters with the imitation of heavy sampling, which sounds rather interesting with the chiptune instruments. Near the end of the album, “Neolectrik” is a bit similar, albeit slower and brighter sounding. These original songs with the others are for the most start easily able to stand their own next to the older tracks, emulating their style but also finding a voice of their own. Admittedly the uniformity in style can be a bit much over the duration of the album, and there are only a few tracks that break through the retro-electronic sound. Most of these add on some rock instruments to the mix, such as “Ken Returns” and “Final Fight Stage 4”, which sound excellent with their updated sounds, bringing more energy and dynamic sounds particularly with some solos here and there. The rock with organ combination on “MMX Sigma” sounds great as well. 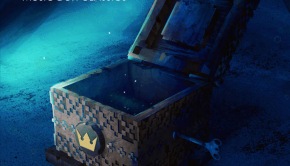 A few original tracks also share in this, like the dark but exciting “Kill Zombies” with a great mix of rock and chiptune, and the slower but steadily building “Road”. The album could have used more tracks like this for variety, but what is included is great. There are only two other tracks that don’t fit the general mould of the album. The opening “Hadoken” featuring Pharaoh from the Beach is a rather explosive hip-hop track with some great varied and inspired samples. If you can get over some of the pronunciation, the lyrics are quite fun and amusing, and the production is pretty good throughout. 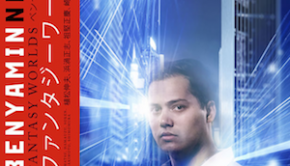 The other track is “Kage Boss” with Kenichi Yoshida and Hayate, which champions a traditional oriental sound and instruments on top of its electronic foundation and high energy. The track is decently varied throughout, if just a tad on the repetitive side with its “chorus”. But other than that it’s a lot of fun and injects some much needed variation into the album track list. 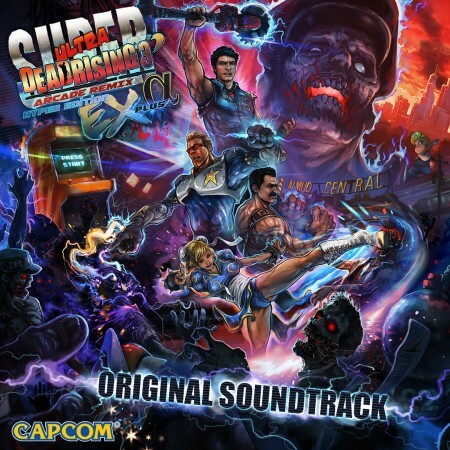 From start to finish, the Super Ultra Dead Rising 3′ Arcade Remix Hyper Edition EX Plus Alpha Original Soundtrack is a fun nostalgic ride through memorable Capcom tunes and some strong original tracks. The remixes of older tracks sound fantastic and do the tracks justice, while the new tracks fit in great by emulating the style. It might have been good if there was just a bit more stylistic variety on the album, but as it is I have no problems putting on this soundtrack whenever I want to feel awesome in whatever I’m doing. Posted on June 25, 2015 by Christopher Huynh. Last modified on June 25, 2015.